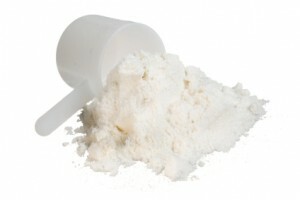 The most common question I get in regards to supplements has to do with protein shakes. Although I touched upon the subject of protein shakes in my Supplement Basics article, especially why I recommend rotating the types of protein, my latest article on BuiltLean.com has a lot of additional information on why whey protein shakes can be beneficial for all types of individuals. You can read the article, along with a lot of great questions regarding how to use whey protein shakes here. Before you go, here’s a random factoid not included in the article, or really elsewhere. Although whey protein intake can be beneficial for a variety of reasons, one in particular has been it’s benefits in regards to anti-cancer efforts. Although research has shown some benefits for whey protein and anti-cancer benefits, the missing piece for healthy individuals is CLA. In regards to CLA, you want your CLA to come from from foods and not supplements, such as high quality butter. So if you’re taking whey protein for health reasons only, be sure to include high, natural sources of CLA (high quality, organic grass-fed butter and grass-fed beef). Charles Poliquin has a great blog post on some of the research regarding CLA consumption. Continue to Read the complete Whey Protein 101 and be surprised to know more about Whey Protein than most people out there. If you have any questions, please feel free to leave any comments.